How much do you love your administrative professional? Peachtree Center wants to know! 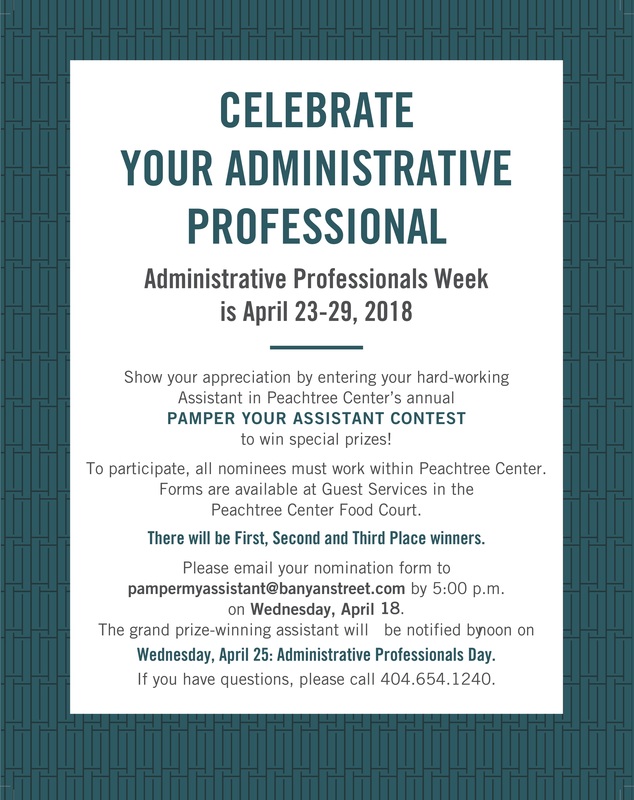 Show your appreciation for your hard-working assistant by entering them in our annual Pamper Your Assistant Contest. To participate, all nominees must work within Peachtree Center. Forms are available at Guest Services in The Hub. There will be first, second and third place winners. Please email your nomination form to pampermyassistant@banyanstreet.com by 5 p.m. on Wednesday, April 18. The grand prize-winning assistant will be notified by noon on Wednesday, April 25, Administrative Professionals Day.